Are you continuously noticing bad odors in your home? Did you know they could be coming from a corrupted sewer line. These fumes are toxic to breath for extended periods of time and can lead to disease if not dealt with promptly. Don-Rite Plumbing has been providing quality sewer repair work in the La Grange area for over 60 years. Done-Rite Plumbing provides quality plumbing service 24 hours daily and can help you with all of your plumbing needs. Call us now at (708) 246-3658 for prompt, reliable and upfront service. Because most of the appliances in your home are connected to your sewer line, there are many components that can become compromised. Your toilets, showers, faucets, dishwasher and laundry machines are all attached to your sewer line. When they discharge waste, the water goes directly into your sewer line. Having an obstruction or break in your sewage line can cause back up, odor, inconvenience and may even cause health problems from contamination. If you are experiencing any issues with your sewer line, don’t waste any time. Ignoring the issue could make things much worse. Factors that cause sewer line corruption ? 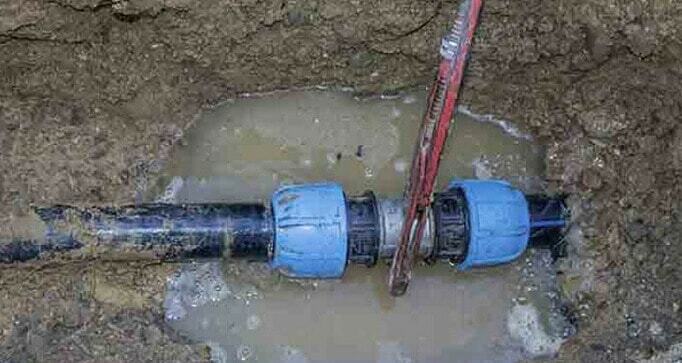 There a number of different factors that may contribute to break in a sewer line. The most common contributor of a faulty sewer line most people encounter is a having clog in your sewer line exit. These clogs can build up over time and restrict or limit water flow all together. This causes unnecessary strains on your entire pipe system. Furthermore, many sewer lines can experience are compromised by tree roots or large vehicles driving over them. If you have rodded your toilet, shower or bathtub and have noticed large clumps of tree roots coming from your drain, this is a significant sine of a damaged sewer line. Give the Done-Rite Plumbing team in La Grange a call for immediate plumbing assistance. We have some of the most state of the art plumbing equipment in the industry and can help resolve any issues you may be facing. Water Pooling – If you notice water pooling in your yard during heavy rains, it could be a sign that your sewer line is damaged (particularly in that area). Sewer Backup – If you notice water backing up into your sink or bathtub when flushing your toilet constantly, that could be a sign of a damaged sewer line. Pulling Roots – If you notice roots while rodding out your sewer line, that could be a sign of a sewer line damaged by a large tree nearby. Done-Rite Plumbing can help you regardless of your plumbing needs in La Grange, Berwyn, Burr Ridge, Cicero, Countryside, Elmhurst, Hinsdale, Maywood, Melrose Park, Oak Brook Riverside, Westchester, Westmont and the Willow Brook Illinois areas. We have vast experience in sewer repair, flood control systems, burst pipes, leaky faucets and just about everything else imaginable. When you need the best plumber, Done-Rite Plumbing is here to help, so call us for prompt and reliable plumbing service.